They're on top of the world. 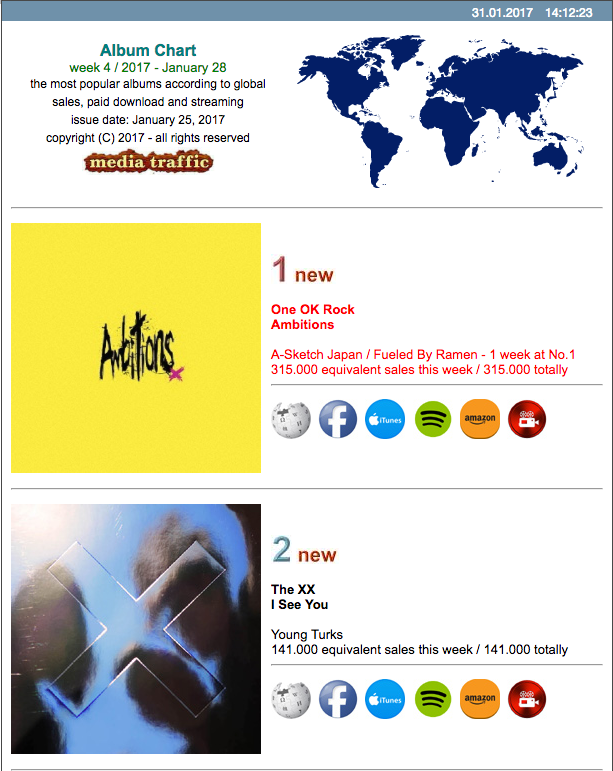 One OK Rock's 'Ambitions' was the best-selling record on the planet last week! According to Mediatraffic it topped the Global Album Chart with 315,000 equivalent sales (including paid downloads and streaming). 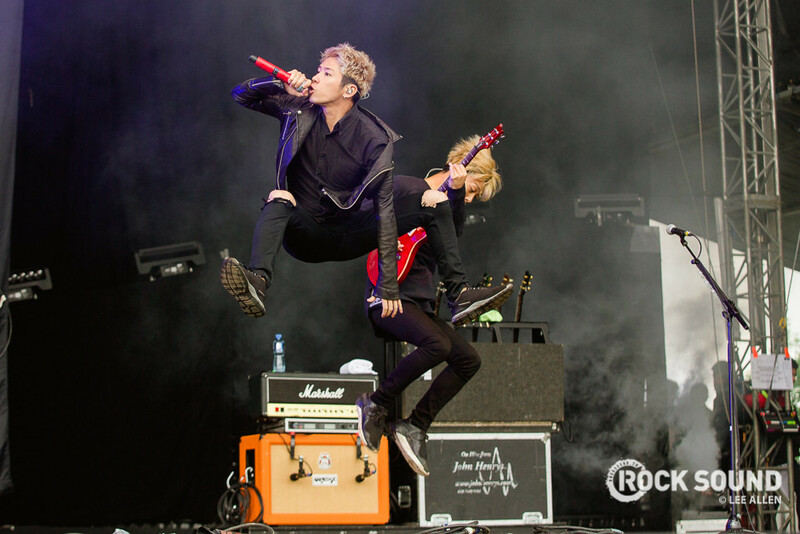 One OK Rock are on the cover of the latest Rock Sound! If you're based in Japan, please head to Amazon Japan to order.